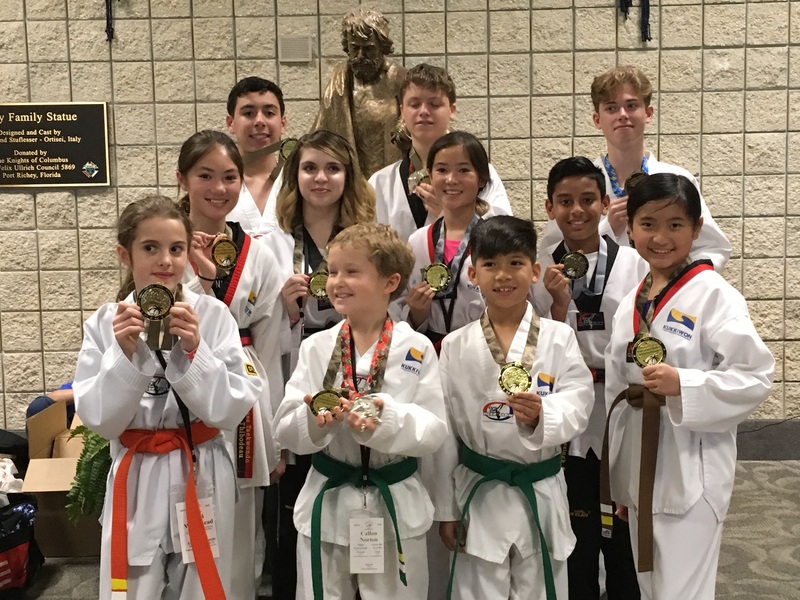 Our children’s martial arts programs is designed to teach our students a high level of self-defense with many other benefits. Our students soon discover that World Class Taekwondo is more than just punches and kicks! Students will gain flexibility through our stretching techniques which will decrease chances of injury in sports and everyday life. They build strength and tone body with our dynamic, isometric, and repetitive exercises. Improved physical fitness, body composition, skill level and self-defense skills will lead to increased self-esteem. Martial Arts training is proven to increase concentration improving overall grades in school. Taekwondo has been proven to help considerably with children that have ADD/ADHD and similar behavioral issues. Please visit the section about ADD/ADHD here on our website. Your child will enjoy the workout as well as the friendships that come along with exercising and training with people that have similar goals. People that train together and support one another end up building friendships that last a lifetime. Taekwondo is a Korean martial art that puts its emphasis on kicking techniques that creates a great aerobic workout while improving balance and coordination. As the name implies Olympic Style Taekwondo is the same system that is recognized by the International Olympic Committee. This martial arts training concentrates on physical conditioning and cover Poomsae (Forms), Koreogi (Sparring) and Kyukpa (Breaking). Additionally, specialized weapons training are available to upper level belt students.